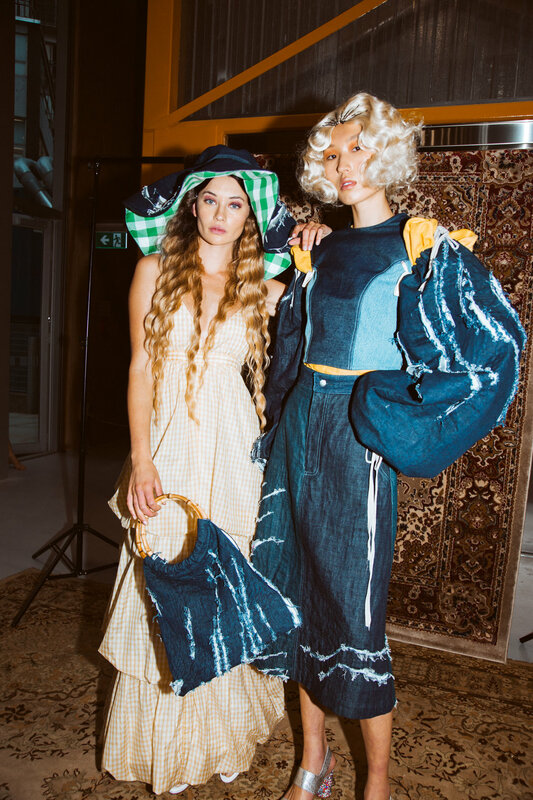 To celebrate the latest generation of New Zealand fashion, Auckland University of Technology - Fashion Design (AUT) teamed up with stylist Kayla Jurlina and photographer Andre Kong to showcase the next generation of fashion designers. Designs by Lavinia Ilolahia, 62 Model Becky Holwerda. Photography Andre Kong. From Lavinia Ilolahia’s sports-inspired ‘Sidelined’ collection, exploring the correlation between ethnicity and athleticism (above), to Danielle Pont’s collection of luxurious tulle’s (bottom image) bringing traditional art to life with explosions of colour and texture worn on the human body. This year’s Rookies proved that design has no limitations. The AUT Rookie graduate fashion show is one of the most prestigious fashion events on the Auckland events calendar and features collections by a selection of the school’s top final-year students. The event is held annually in November and is attended by fashion media and industry from a fashion school renowned for producing cutting-edge fashion talent. Danielle Pont’s love of tulle forms the basis of her collection with 62 Models: Sophia Frankish, Kizzie Amoore. Designers (central block of images) as follows: Diane Kwak, Chico Williams, Kayla McGregor.